Hope - "to look forward to with desire and reasonable confidence"
We live in a time of great turmoil. Our lives are full of fluctuations and changes. The world seems always teetering on financial, environmental, or international disaster. War looms across the planet. It is a time when everything seems about to unravel, and we ourselves may become undone. But, there's hope! We're not talking about the hope made in promises by politicians, which we learn by the end of the day were empty and meaningless. We're not talking about the religious platitudes that everything's ok which leaves us dry. No, we're talking about REAL hope. The hope that only Jesus Christ can bring. He wrote the playbook for all of human history. He tells us how it will all turn out. He lets us know that the future is bright... if we make the right decisions. Jesus tells us there's hope. 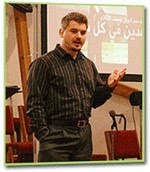 Steve Howell is the Adult Education Minister at Tonganoxie Christian Church in Tonganoxie, Kansas. 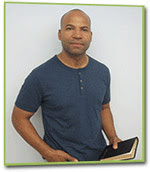 A teacher of teachers, Steve has organized and mentored over 60 Adult Bible Fellowships at once. 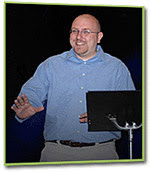 His creative Bible curriculum and energized teaching makes exploring the Bible both educational and fun. 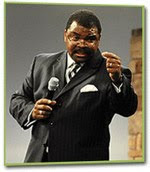 Don Perkins is the founder and director of According to Prophecy Ministries located in the San Diego, California area. Don travels all over the country using his enthusiastic speaking and giftedness in making complex biblical issues easy to understand. Nathan Jones is an Evangelist and the Web Minister for Lamb & Lion Ministries, reaching out to the over two billion plus people on the Internet with the Good News of Jesus Christ. Born in the Dominican Republic, Vic Batista is the dynamic pastor of Calvary Chapel Aventura located in the Miami, Florida area. He also hosts the "Eyes on the Word" radio program. Vic ministers bilingually to both the English and Spanish speaking communities. Looks like the next couple of weeks of postings will be real interesting!